JZQ series of main reducer adopts common involute hard tooth surface gear transmission mechanism, national standard production, mainly used for the main reducer JS series mixer. 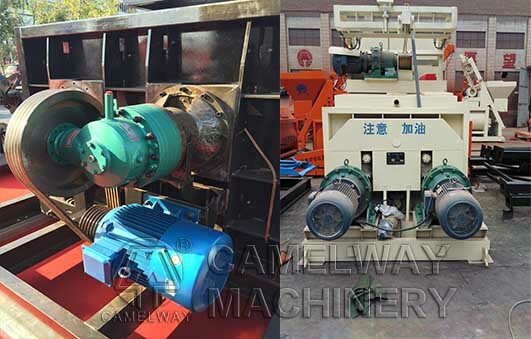 ZJX series mixer for planetary reducer adopts planetary gear transmission structure, appearance is light, with large speed ratio, reliable and smooth transmission performance. XGJ series suspension reducer adopts multilevel involute helical gear transmission mechanism, enhances the speed reducer is stable performance, reduces the chance of maintenance, solved the difficult problem of electric drum after the damage is not easy to repair, master to be practical in all kinds of belt conveying machinery. JS series winding speed reducer adopts the triangle positioning involute hard tooth surface gear transmission mechanism, implement the national standard production, mainly is suitable for the JS, JZC series mixer hopper of winding, etc. QJS series tower crane hoisting reducer adopts multilevel involute gear transmission mechanism, realize the flexible cable drum hoist, stable performance, more practical in 40 ~ 80 types of tower crane hoisting mechanism. LS series special conveyor speed reducer adopts involute gear transmission structure, the appearance of polygon, the light and beautiful, practical for a variety of similar structure and environment. This entry was posted in Solution and tagged reducer by camelway. Bookmark the permalink.